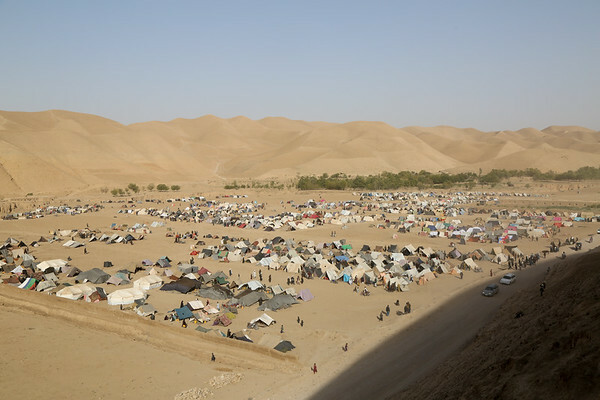 Around twenty-five thousand families estimated to have been escaped drought and conflict across Badghis province have arrived in Qala-e-naw city. The displaced populations live in disheartening conditions in makeshift tents on open land. Many families live for months exposed to extreme summer temperature, dust, and other elements and are now dreading the cold winter to come. Food, Cash, WASH and non-food-items have been distributed to some of these families and further assistance is expected. With support from Sida, Norwegian Refugee Council (NRC) has distributed emergency shelters to 200 households in Kharistan area and with support from NMFA, we are able to distribute Latrine, water tanks and water trucking in Farestan area of Qala-e-naw.